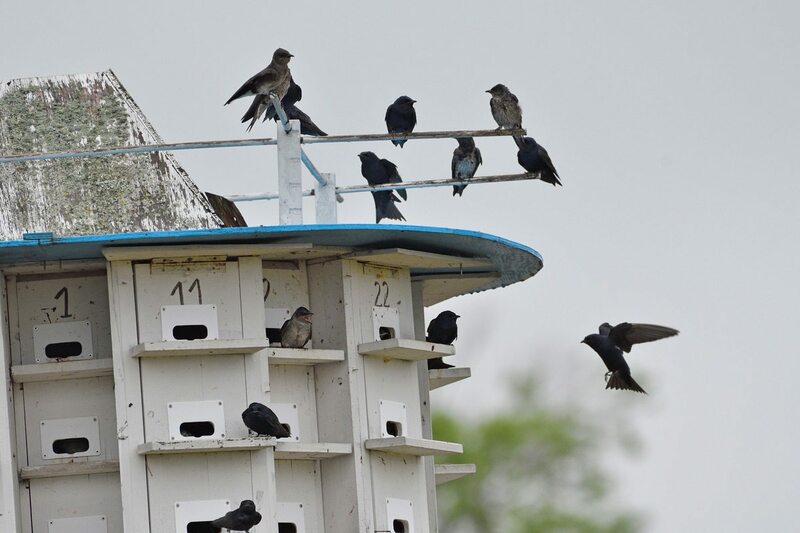 Never has the saying “Birds of a feather flock together” been so apt as at the Nepean Sailing Club, where dedicated volunteer Peter Huszcz tends a purple martin “condo complex” and educates the public about this unique and fragile bird. Every spring, they swoop into town, glossy aerial acrobats that travel all the way from their wintering grounds in Brazil to spend summers in the capital. 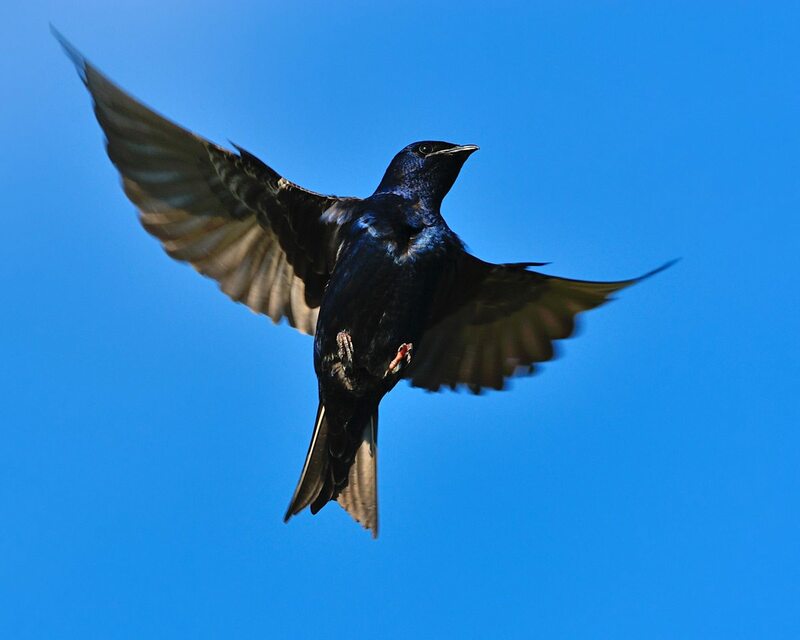 And every spring, between 50 and 100 pairs of purple martins make their way to the two martin condos at the Nepean Sailing Club, where they set up nests and spend their days diving and swooping on the air currents in search of insects. 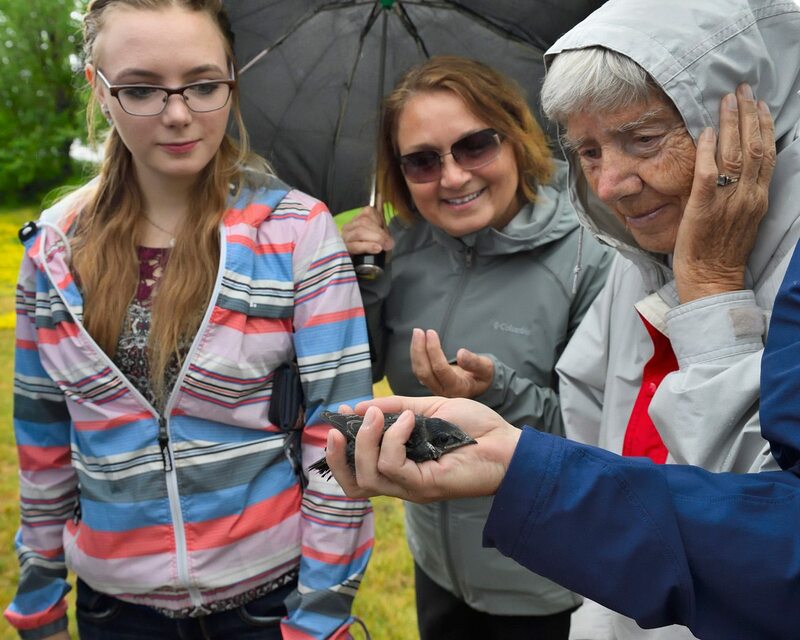 Come July, Huszcz teams up with the crew at the Innis Point Bird Observatory to band the nestlings; he invites others to watch the process, encouraging anyone and everyone to learn more about these birds. The event has a festive atmosphere. 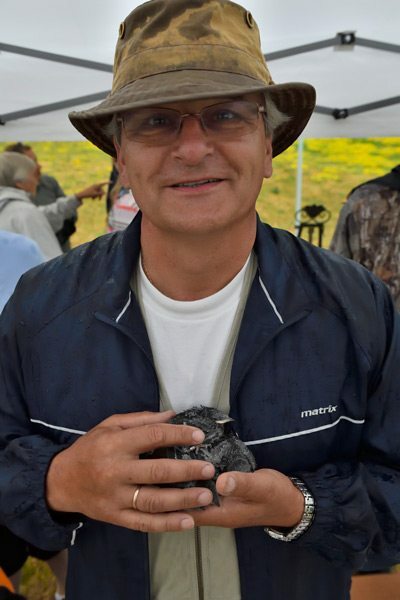 After a brief talk about the wonders of purple martins, Huszcz lowers the birdhouses and opens each condo unit, removing the nestlings and giving kids a chance to hold them as he quickly and expertly bands them, all the while chatting about the birds and answering questions. His dedication has opened the eyes of hundreds of people to these particular birds and to the importance of understanding how our interactions with nature affect all creatures. 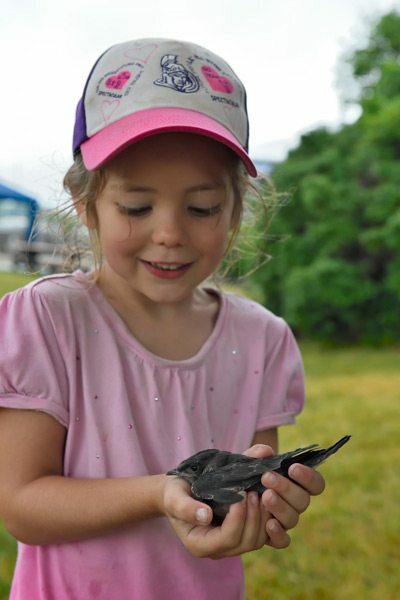 You’ve been lending a hand to purple martins for well over a decade. Was it love at first sight? I do think they’re beautiful. I first spotted them while visiting a friend’s house just after I moved to Canada from Poland in 1989. He had a martin house in his backyard, and I watched them that day and decided that one day I’d have martins in my own yard. I built my first martin house about 17 years ago. Six years went by; no martins. It started to rot. I built another one and it, too, lasted about six years; no martins. I built a third house, and, finally, about five years ago, a swarm of martins moved in. They brought friends the next year. Now all 32 cavities are full. So I guess you could say that I love the birds, but my success with martins is due to the fact that I am dedicated and very stubborn! 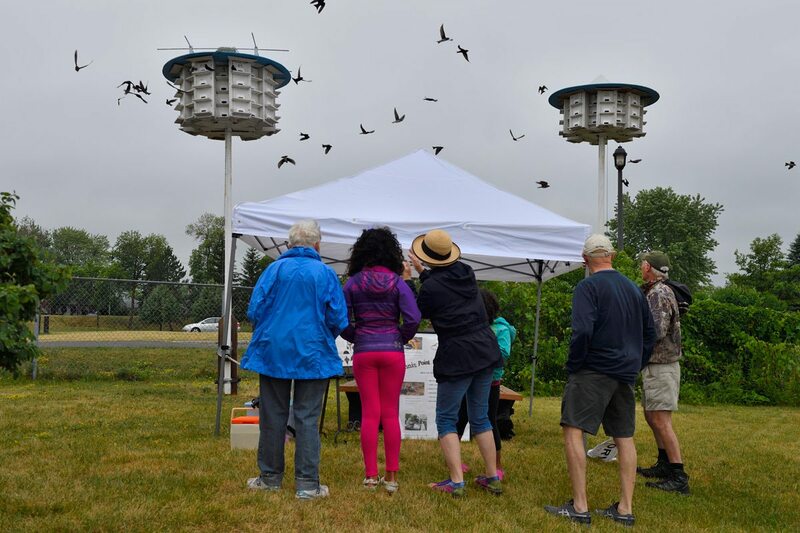 You’ve also been taking care of the two purple martin houses at the Nepean Sailing Club for 15 years. How did that happen? The club had a martin house, but it was falling apart and filled with starlings and sparrows. I asked whether they’d allow me to build new houses, and they agreed. I built one house, and it filled up immediately. I built another, and that filled up too. The colony exploded! What was the high point, population-wise? Seven or eight years ago, I had 100 nesting pairs and close to 400 young. It does, but nature is extremely complex, and I have seen the population fluctuate before. There are definitely cycles, and we still don’t understand them. Purple martins are pretty fragile, though, right? Yes. Man cut down many of the trees they nest in — their natural habitat is holes — but starlings and other birds have bumped them out, as well. 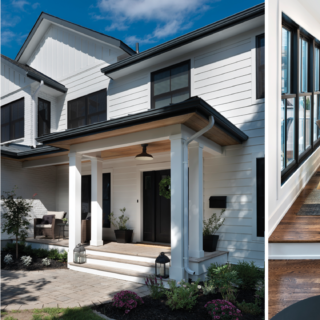 The martins that live in eastern North America nest only in man-made houses, so they’re completely dependent on us for survival. Would you encourage people to put up their own backyard martin houses? Of course! People often come to me for plans and advice. I usually tell them to start small — build a house with four to six cavities. Play a CD of the martin’s call in late April to attract them to your yard, and see what happens. If they find you, they’ll bring more friends the next year and you can build from there. Every July, you invite the general public to come and see you band the martins. Tell me about that. About 10 years ago, I started working with Bill [Petrie] from the Innis Point Bird Observatory. We band all the babies every year before they fledge. 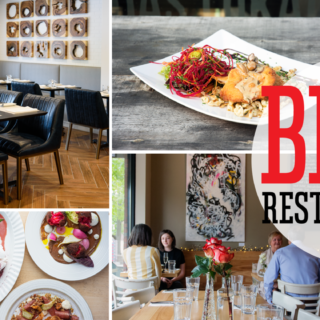 We started out having just friends and family there, but then Elizabeth Le Geyt [former bird columnist for the Ottawa Citizen] wrote about it, and it really turned into an event. It’s very interactive — I give a talk about the martins, the kids get to hold the birds, we educate them about the banding and what scientists have learned from recovering banded birds. I just want them to understand these birds a little better, enjoy them, and think about nature. Do the people at the sailing club appreciate your work? They do. So many people love and appreciate the birds. They’re very beautiful — an added attraction at the club. I’m not looking for recognition for the work I do with the martins, but it is nice that people value it. You’re at the sailing club almost every day, checking on the houses or the birds. What do you get out of it? Helping the martins is rewarding. Like any hobby that’s pleasurable, you don’t count the time or money that you spend. I like to build and design, so working on the houses is fun. 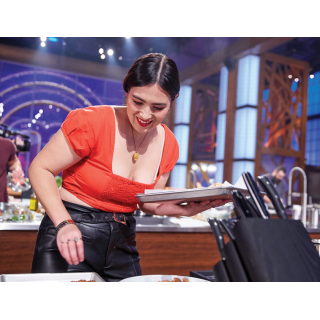 I enjoy sharing my knowledge with others.